Schools start back on August 19th so this race is an opportunity to enjoy one of the last weekends of the summer season with a great race and fun party afterwards. 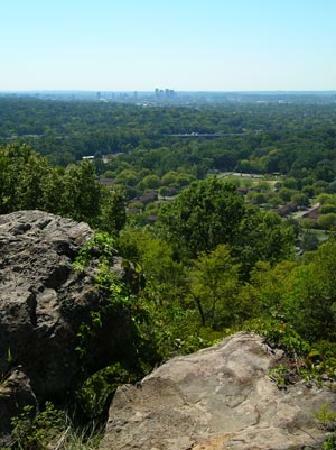 Ruffner Mountain serves as the second and final race of the 2013 Sizzlin’ Summer Trail Series. There will be 5K/10K/15K distance options on the beautiful and tough Ruffner trails. Each distance has a unique course with common start and finish lines. This is an evening race followed by a picnic and awards on the Pavilion. The race starts at 4:30 pm at Ruffner Mountain Nature Preserve in Birmingham, AL. Registration and on-site packet pick up will be open starting at 3:30 pm. The Inaugural Sizzlin’ Summer Trail Series kicks off this year with a two race package designed to embrace the Alabama summer. The $25 registration fee includes entry to the Float Your Boat 8K at Turkey Creek and the So Long Summer 5K/10K/15K races at Ruffner Mountain Nature Preserve. Each race will feature a local environment that is both unique and beautiful. The series is presented by Alabama Outdoors and sponsored by Birmingham Track Club and Resolute Running.